Advertise your company's details on our Personalised Ad Loop keyrings. An inexpensive and unusual way to get your message seen. 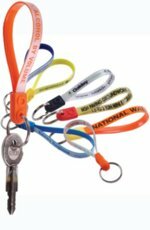 Ad loop keyring 16p - 34p each(depending on the quantity), a great promotional giveaway.